We had the pleasure of photographing Jon and Casey's big day last month on the Gold Coast. I have known the couple for over ten years and it was a true honour for them to ask me to shoot their wedding. Their ceremony was held in Jon's parents backyard in Murwillumbah. A huge amount of credit goes to Jon and his dad Wayne for all their hard work they put into making the yard so beautiful with all the amazing timber work. 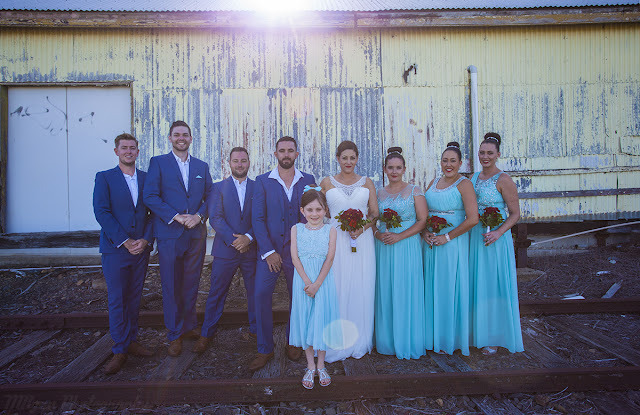 After the ceremony we slipped down to the disused railway tracks which provided an amazing backdrop for the photos. The reception was held at Babalou in Kingscliff. A stunning venue overlooking the beach with a heritage crossed modern feel.